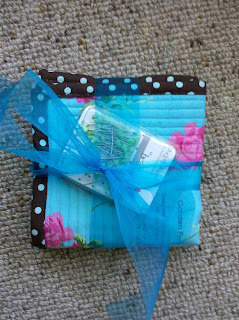 Ive been busy at the sewing machine this week, and finally have something crafty to share. The past few years I have joined in with a group of quilty friends and taken part in a dolls quilt swap, so on Friday (and only 2 days late!) 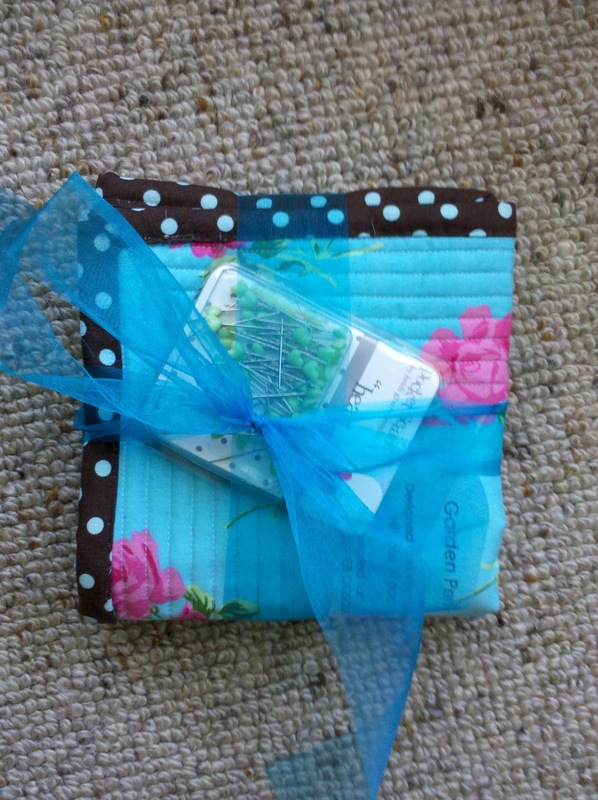 I posted this little quilt off to its new home. I will share the quilt once it arrives. I'm return we received this quilt from Rachel. 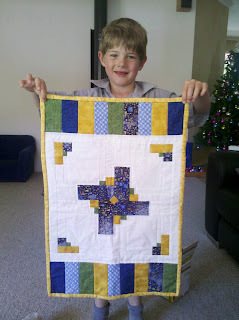 I wanted a quilt for Isaac for his Teddy, as all the previous quilts have been for Jacinta and he dolls. Isaac was thrilled, and it s just perfect. the piecing and quilting are really well done - great job Rachel, Thank You so much. As you can see, its the perfect size, and there has been lots of play with it already! 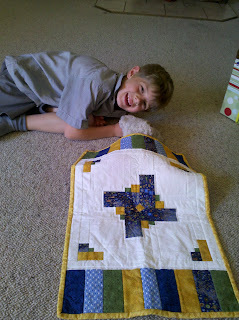 Obviously my quilting mojo must have returned with the dolls quilt - it was the first thing i had finished all year! 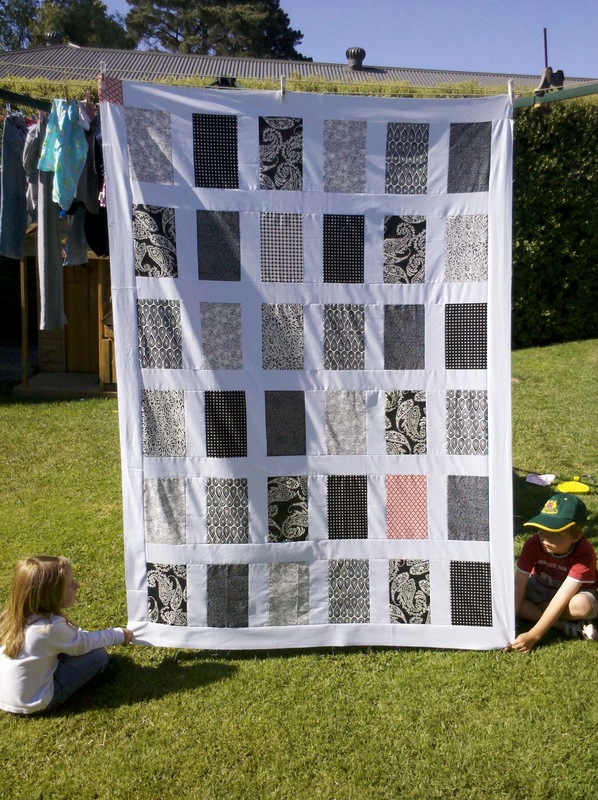 Today I spend the whole afternoon at the machine, and finished this quilt top. Its for Nathans teacher for Christmas. She had Caleb for two years, and then Nathan for the last two, so I wanted to make her something a little special. I'm hoping to get it quilted in the next week. I'm still not sure about the little red square in the top corner, but i had to add it as i was running desperately short of the white homespun, and then cut the border strip about 1/2" short - grrrrrrrrr. Any thoughts on what to bind it with - red or black ? I like the little red square. It adds a bit of quirky! And you know that normally I would be saying red binding but I'm kind of leaning towards black - what do you think she would like best? Lovely little quilt from Rach :) I had the pleasure of watching it grow from start to near finish, she is a clever girl!